The second issue of the student-led McGill Green Chemistry Journal is out! 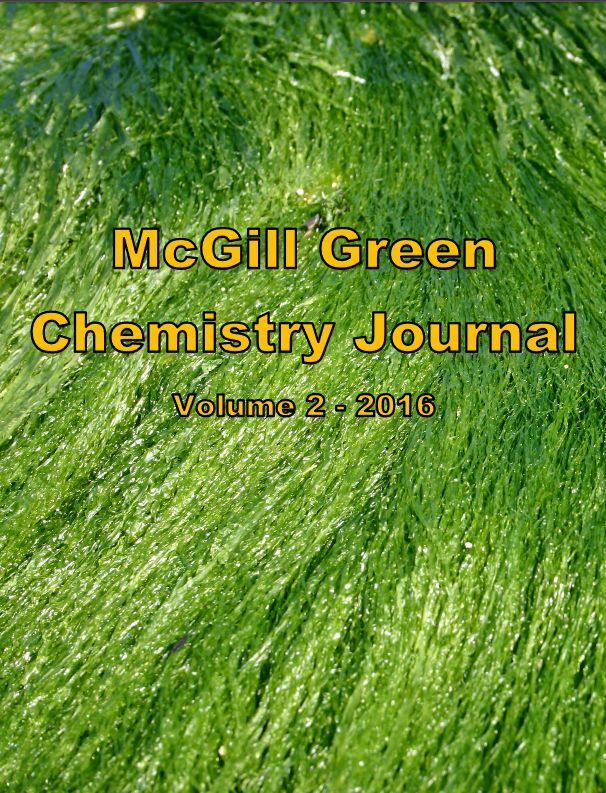 For the second year in a row, students from the Green Chemistry course (CHEM 462) are releasing their journal issue, published online as The McGill Green Chemistry Journal. This volume gathers the reviews written by students who took the course. Students used peer evaluation, similar to the standard in scientific publication as a means to raise the quality of all the papers submitted. A team of student editors worked behind the scene to make this a success, namely editor-in-chief Arnold Downey and associate editors Jill Bachelder, Pierre-Oliver Ferko, and Joseph Marrett. Congratulations to the whole 2016 class for a great final product!